I spent a day on the trail with Mosko Moto, trying out their new riding apparel being developed, and also a new luggage system tailored for the aggressive dirt bike rider. Here in the PNW, we have a short window during the fall that we consider to be the most prime conditions to ride dirt bikes. It cools down quite a bit, the ground is moist enough to give awesome traction and rid us of all dust, and the sky stays just cloudy enough to cut down the brightness. 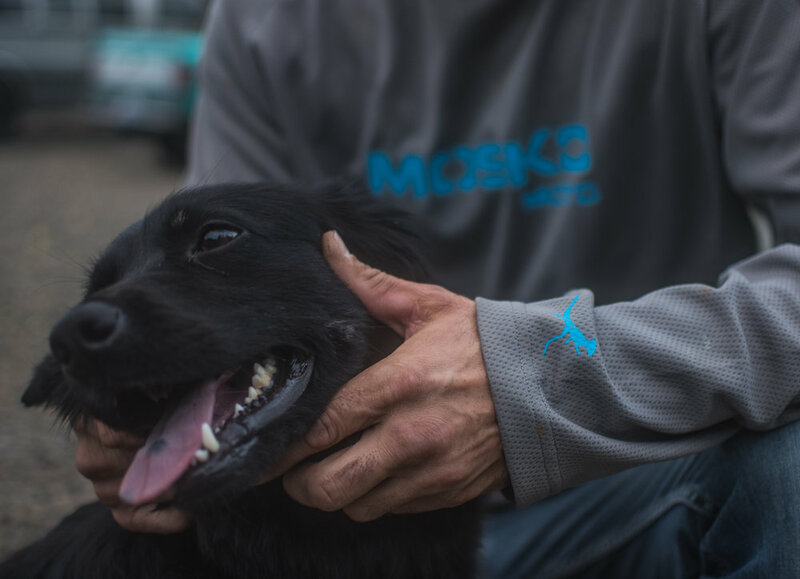 Pete decided this would be a great time for us to go out and ride single track with some new Mosko products. 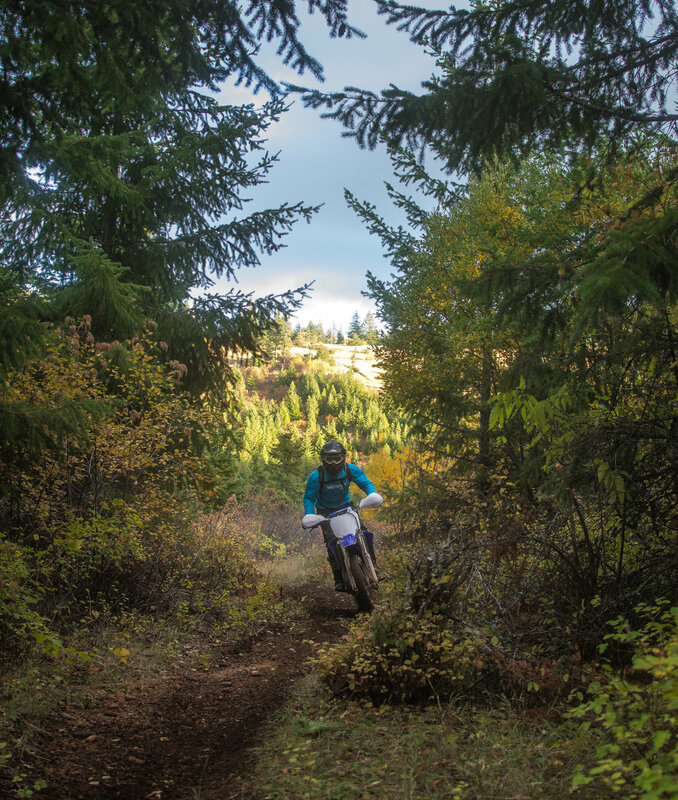 He chose a great OHV park just outside of Hood River, OR. Many times, riding apparel can be the deciding factor in whether or not you are able to enjoy, or sometimes continue, your ride. 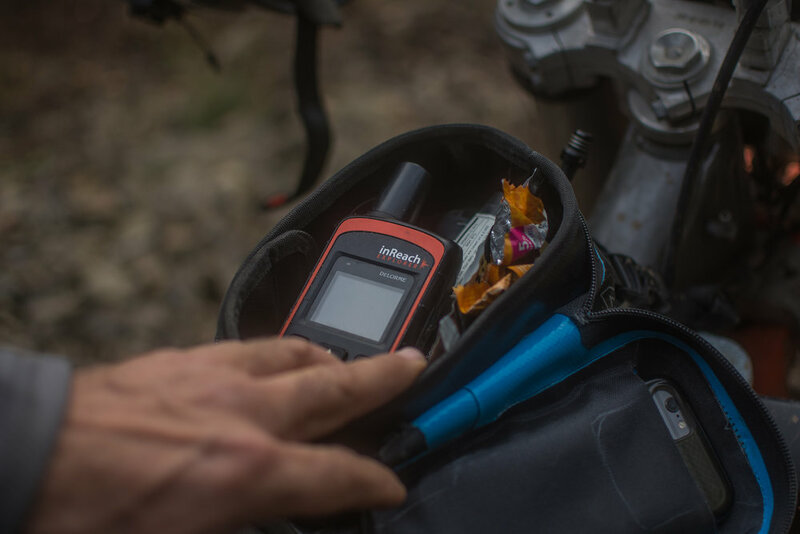 With the various types of riding, terrain, weather, and other factors dual sport riding can find, it can be difficult to create a system that will work for everything. The Mosko team has been hard at work on what might be the answer to that problem. 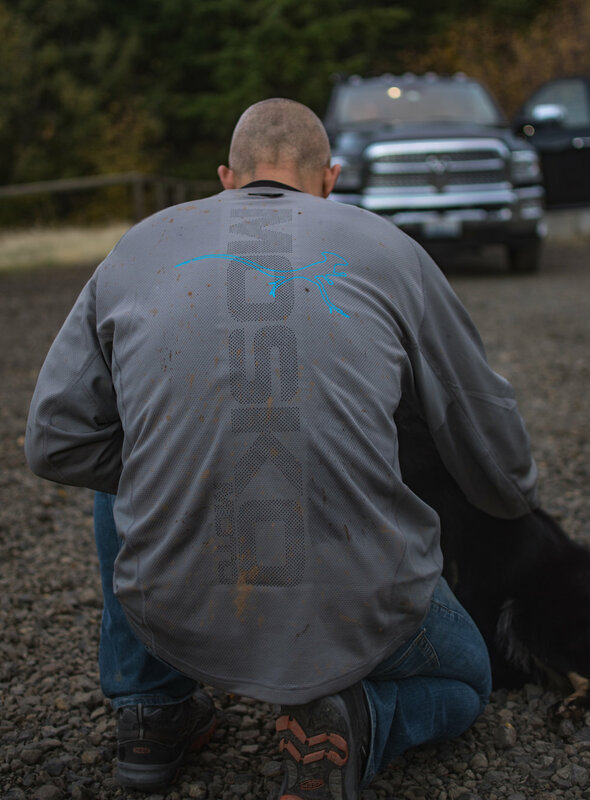 We geared up in a couple pieces from that new system: the upper base layer and jersey. Pete can be seen in the grey jersey (I wore the same), and Lee in the teal. 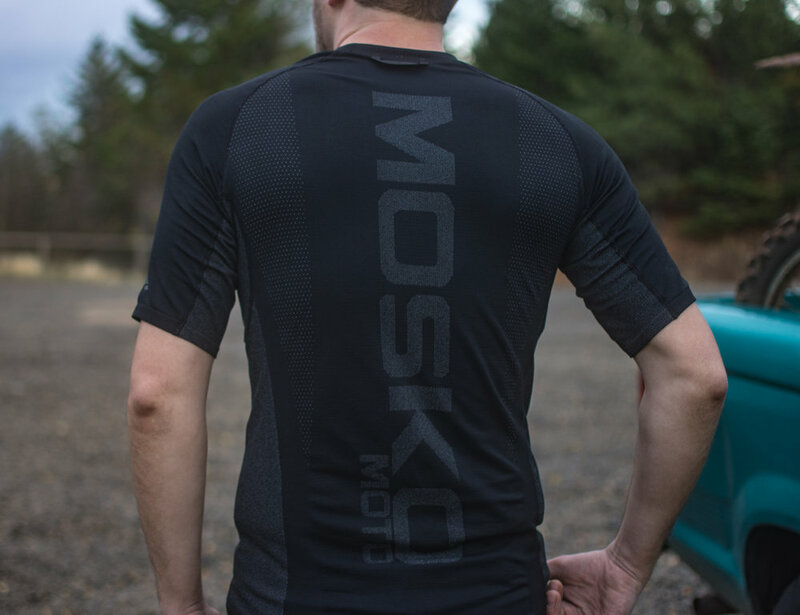 The jersey is super light, vents very well, has a minimalist design, and a very cool laser perforated back displaying the Mosko Moto name. I felt extremely comfortable in the base layer. It is made of top end materials, and has a great logo design to it. 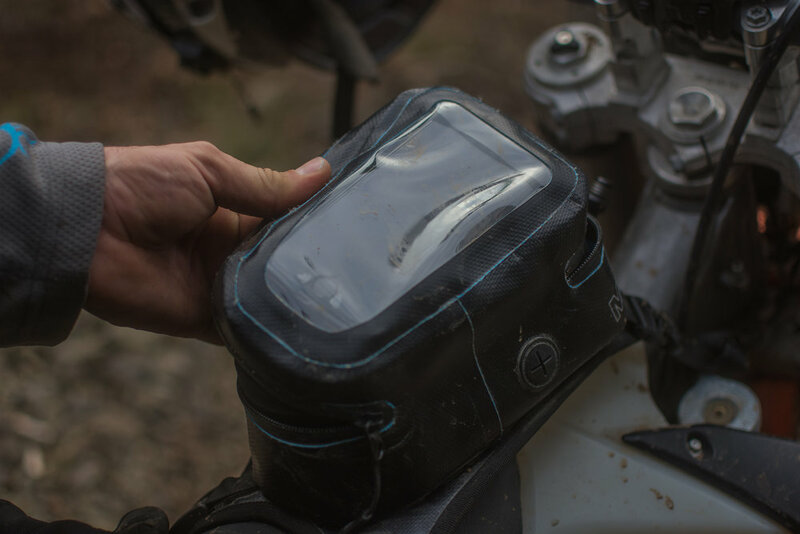 Most tank bags on the market are large and get in the way of some riders. They don't like that it gets in the way of their knees, and doesn't allow them to slide forward on their tank. 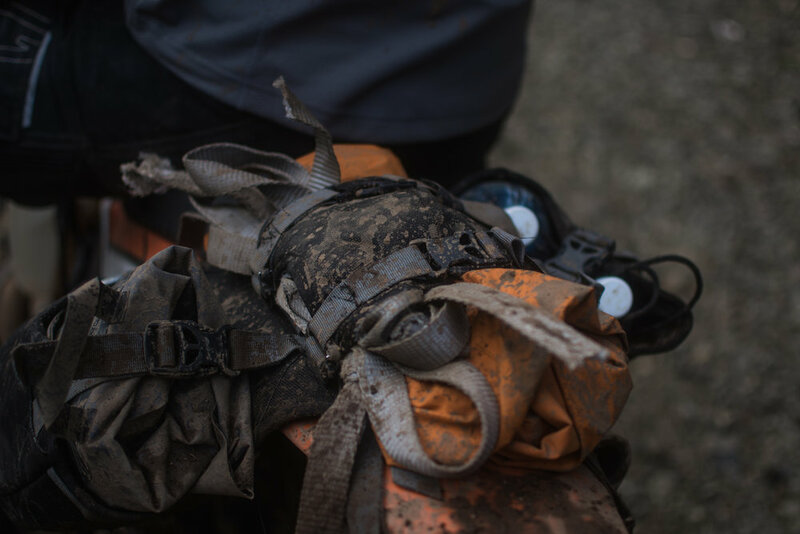 The Mini Tank Bag should be a great compromise, allowing the aggressive dirt rider to move around enough to handle the terrain, yet carry a couple essential pieces of gear. It's fully waterproof, and the clear phone screen protector allows you to see and use your touch screen. Mosko Moto has an awesome solution for luggage on dual sport and dirt bikes. The two "rackless" systems they offer are the Reckless 40 and 80. Even the R40, being a minimalist size system, can still easily get in the way of a rider on singletrack. To bridge the gap and meet the needs of the dirt bike rider, they are developing a much smaller system, what they are calling at the moment, the R15. This bag is just large enough to carry the Fatty Tool Roll and a couple fuel or water bottles in the side compartments, or using the included drybags (like the leg bags of the R40/R80). Neither the Mini Tank Bag, or the R15, seemed to get in the way of Pete while riding single track the entire day.